The founding committee members include our good friend Laurent Friry, distinguished motoring historian and long-standing SAHB member . We look forward to working closely with Laurent, his colleagues and future members of PHAF to further our joint understanding of European motoring history, and we hope to organise joint events in due course. Why create an association on the heritage and history of the automobile in France when there is so much criticism of the car these days? 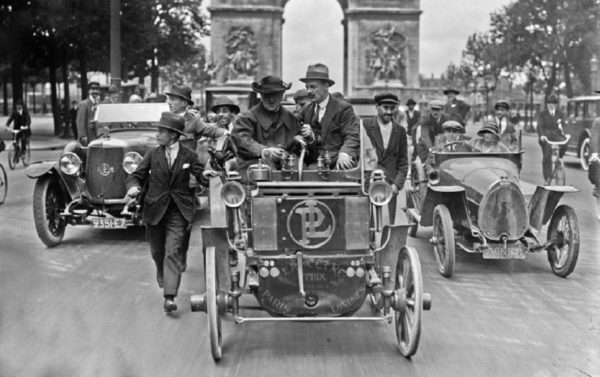 Because France is the cradle of the automobile industry, whose origin dates from the end of the nineteenth century. And if the history of some manufacturers such as Bugatti, Citroën and Peugeot is relatively well known, little or nothing exists on many others: Bellanger, Bignan, Delaunay-Belleville, Omega-Six … but also on the presence in France of foreign brands such as Rolls-Royce, Mercedes, Isotta Fraschini. Whether it be automotive brands, equipment manufacturers, coachbuilders, drivers, engineers or industrialists, from the origins to the present day, subjects are missing and all are worthy of interest. To understand where we are going, we need to know where we came from. Most countries with a car industry benefit from a society of motoring historians: the SAH in the United States, the SAHB in the Kingdom, AHG in Germany, AISA in Italy, or CONAM in the Netherlands. Our ambition is therefore to create such an organisation in France. save archives and make them available. Secretariat: PHAF – 12 rue Bernard Lasserre – 31400 Toulouse. This is wonderful news! We wish you every success and look forward to sharing interests and camaraderie among our members.